Howdy, folks! This year is just flying by and it is hard to believe we are already approaching the holiday season. I look forward to spending time with my wife and two beautiful children over the Thanksgiving holiday and I hope that you have an opportunity to spend time with the ones you love. 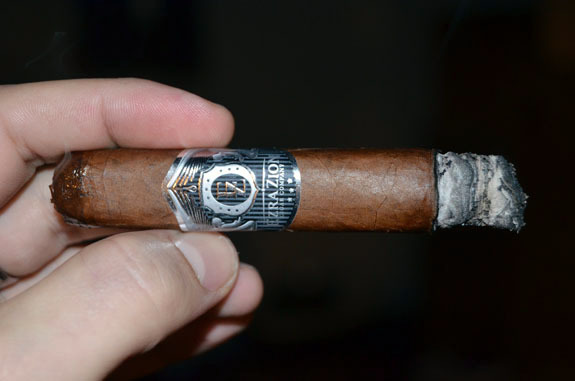 Following up last year’s release of the original Tantrum, which found the number 2 spot on my 2013 Top 10 List, Ezra Zion Cigar Company has extended the line with the addition of the Tantrum P.A. 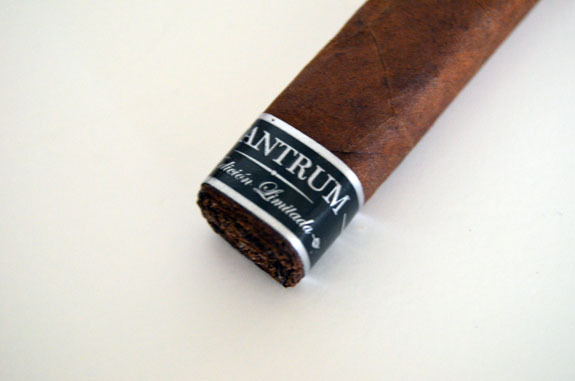 Released at the 2014 IPCPR Trade Show, the Tantrum P.A. is produced in very limited quantities of 600 boxes containing 28 cigars each at Casa Fernandez and distributed by House of Emilio. As was the case with last year’s Tantrum, the P.A. is only available in one vitola. This year’s vitola is the 6 ½ by 44 lonsdale (one of my favorite vitolas). 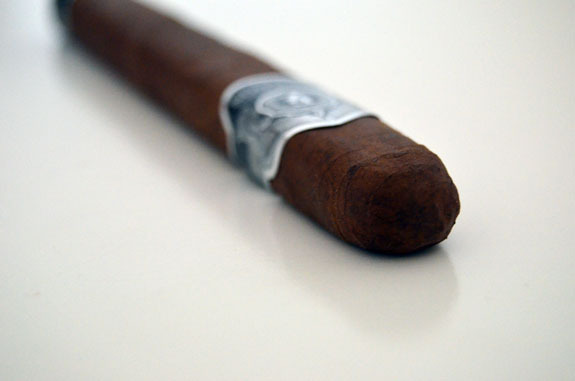 Dressed in a beautiful corojo wrapper leaf, the Ezra Zion Tantrum P.A. is milk chocolate in color with red hue and smooth to the touch. The natural characteristics of the wrapper leaf can be easily seen with some veins, minor color imperfections, and nice amount of oils. I am greeted by a mixture of faint manure and cocoa on the wrapper and big notes of cedar are on the unlit foot of the cigar. A triple cap clips easily and a rich draw is revealed. The cold draw present full flavors of cinnamon, nutmeg, cedar, and earth. The draw resistance is good, which is always a worry when smoking small ring gauge cigars. Slipping off the foot band, I am ready to burn this Ezra Zion Tantrum P.A. Right of the bat, the flavors are already in the full range and thick smoke coats all areas of my mouth. 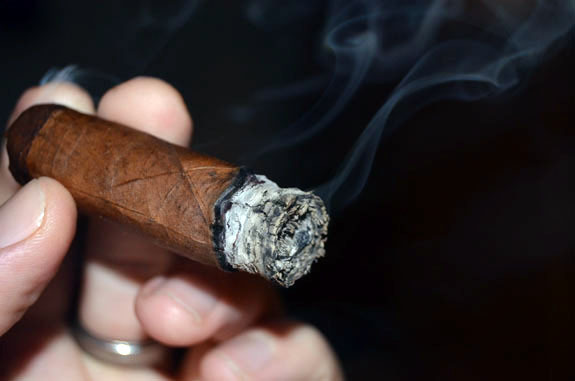 A clean, vanilla sweetness hits my palate as soon as the smoke arrives in my mouth complimenting the darker flavors of pepper spice and woodsy notes. A creamy peanut butter flavor is also found. Pepper is in full force as I pass the smoke through my sinuses. A grey, layered ash is being formed as the cigar burns slow and even. A satisfying amount of smoke is pumping out of the Ezra Zion Tantrum P.A.. The woodsy notes have really stepped up their game, while the other flavors remain level with the first third. 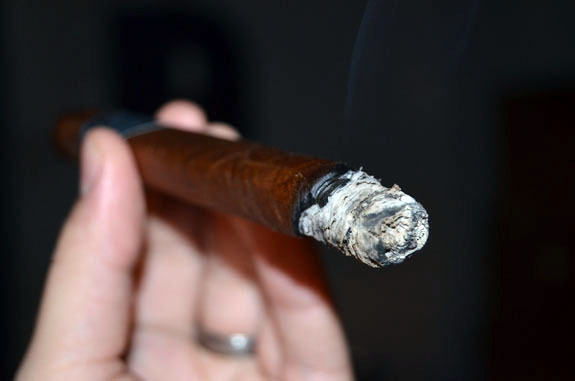 The cigar is gaining in richness and strength. The finish, which began short and clean, now has a lingering diesel-like flavor and dusty cocoa. As I pull into the last third of the P.A., the profile remains rich, the woodsy notes have transitioned to an oak, and earth and leather flavors have stepped up a notch. A minor correction is needed to get the burn back in-line as I begin to wrap up this Ezra Zion Tantrum P.A. The Tantrum P.A. holds true to its name and origin. However, while I noted several similarities with the original Tantrum, the P.A. stands on its own merit. I found the spice to be more toned down and a lot more sweetness in the Tantrum P.A. than last year’s version, plus I prefer the Lonsdale size over the Petit Corona. But enough with the comparison. The Ezra Zion Tantrum P.A. delivered full, balanced flavors, a good draw, satisfying amount of smoke, and a decent burn. 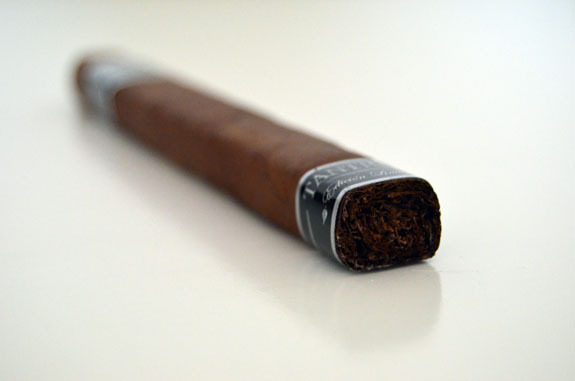 This cigar fits right into my wheelhouse with it bold flavors and full strength, but the strength did not overwhelm me. If you can find them, I recommend you grab a handful for your smoking pleasure. 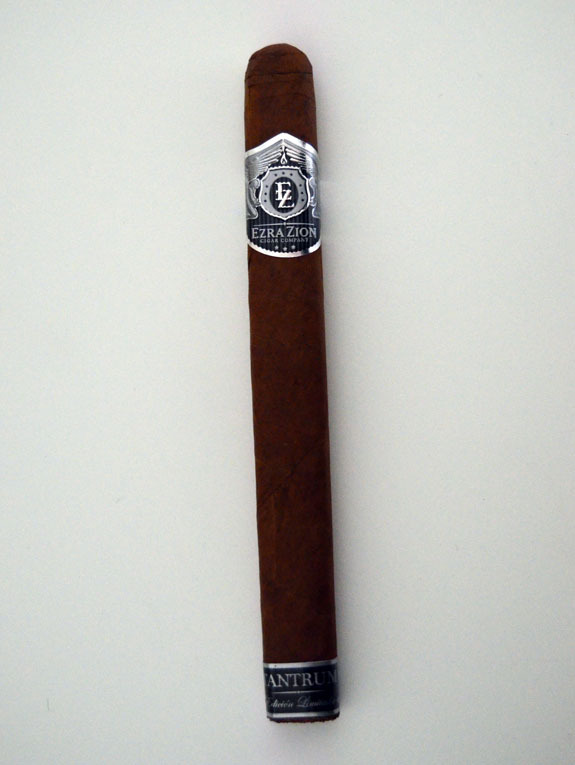 Related Itemscigar reviewEzra Zion Cigar CompanyEzra Zion EminenceEzra Zion Tantrum P.A.Honor Series FHKHonor Series RegeanHouse of EmilioNicaraguanNicaraguan CorojoTantrumTantrum P.A. I definitely felt like this version was more balanced. Last year’s I thought the spice was a bit much at times. I completely agree with this year’s version being more balanced with the spice toned down and the sweetness playing a more prominent role. I still enjoyed the heck out of last year’s version I just had to be careful not to retrohale too often else the spice would have been way too much to handle. Looking back at my review, I did mention some throat irritation in the original Tantrum. Out of the two samples smoked for the P.A., I did not experience any throat irritation at all. Thanks for checking out the review.